Happy Halloween!! New Project M Mod stage. Sandy Grave from Castlevania Portrait of Ruin, using Mushroomy Kingdom omega. Custom models added like skulls, platforms and background elements with new lighting, textures and animations. Hope you like! It goes over STGMARIOPAST, no wifi safe. It's bassically a clean background image with color animation and smash U Battlefield model. I think it works, at least for now XD. It goes over STGBATTLEFIELD with all versions: original, wifi safe, omega and big battlefield. Continuing with the launch of Monster Hunter World here another mod stage for brawl and Project M.
This is the night version of Deserted Island, imported from Monster Hunter tri with custom platforms, animations, shadows and more. To celebrate the launch of Monster Hunter World I decided to created a new mod stage for brawl and Project M.
Deserted Island imported from Monster Hunter tri with custom platforms, animations, shadows and more. It goes over Pokémon Stadium 1:1 and Final Destination (Wifi Safe). 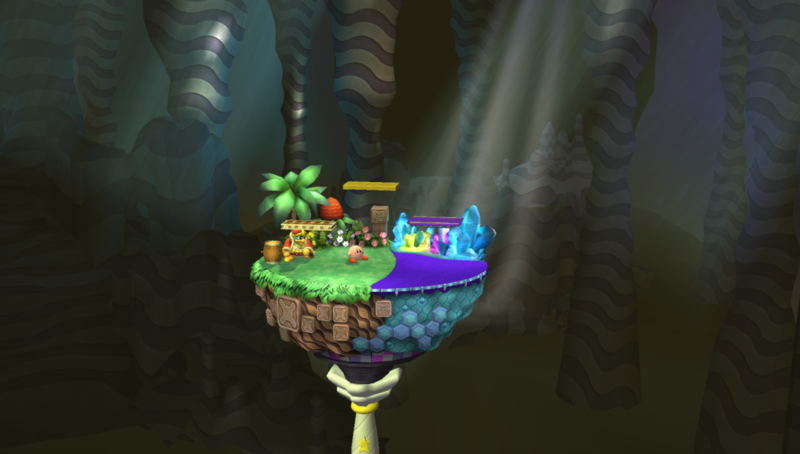 The platforms are custom modified models from the background model. It had original textures and most of the materials, specular efects, texture animations and shadows. Also Includes Super Smash Bros. Crusade's Final Destination Theme for Smash Bros! Something strange is happening in the Ultra space... Lusamine Mother Beast is coming!! The model was imported from the Pokémon UltraSun/Moon and it goes over Zelda. There are 2 versions: the Beast and the SemiBeast version. Happy Halloween! A new stage for Brawl and PM imported from Castlevania Judgment "Tower Clock"
I used most of the models and textures form the original stage. The main platform has shadows, reflection textures and specular efects. All basic animations from the original game were incorporated. In adition, I placed animated gears in the background with more chains. For the light system I used a realistic 360 light system that change during the gyration. New challenger aproaching: Young Xehanort!! Hi people! How it's going? I'm here with a new opponent! Young Xehanort from Kingdom Hearts Dream Drop Distance. I decided to import over Ike with Cloud PSA. It's the original model ripped from the game with his keyblade. 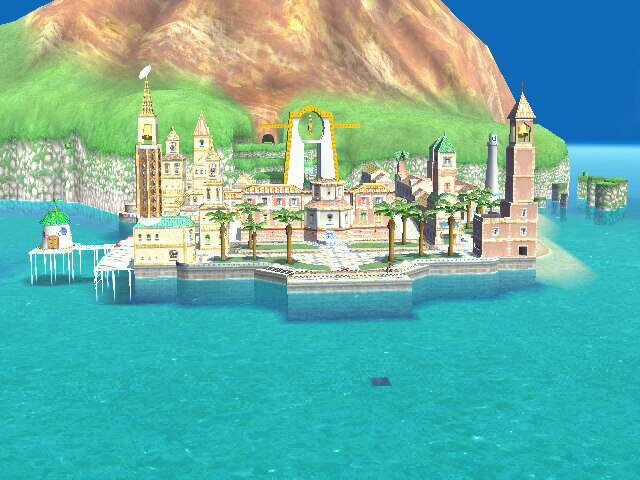 Additionally I updated the regular version of \"Drive into the Heart\" over Delfino Secret (Wifi Safe) with new materials, shadow models and lights. Hello people! I did some adjustments in this loveling stage imported from Smash U. 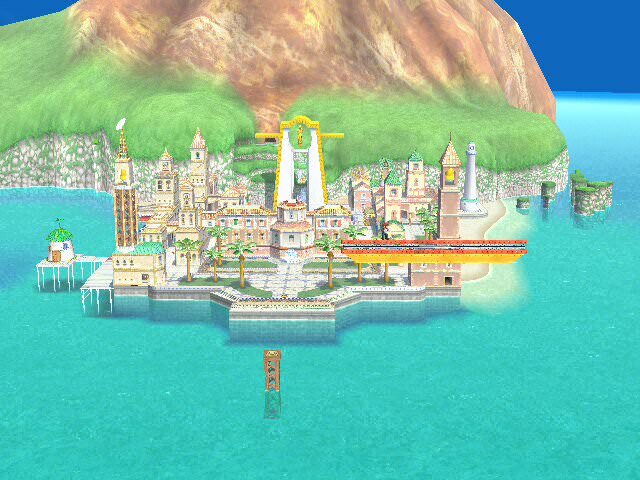 Now there is has a new background animation, the islands have their proper floating movement (like smash 4). All of that was made using the same keyframes from the original game. In addicionally there are a few changes in the light system (fogs, lights, ambient lights, lighting animation,...). I include all versions in the pack: Regular, Omega, WiFi Safe and the Big Battlefield version as well. A 1-1 for Fountain of Dreams! Simply rename and drop this over your preffered FoD slot, as long as it uses the same rel it should work seamlessly.----------------------------------------------Huge credit to Edwguard Flows, who made the import of both versions of the great cave offensive, without either this stage would not have been possible. Since there are no water fountains the train tracks lay on top of the stage to indicate where the platforms are gonna be when the re-appear. Hope you enjoy! Update 1: Added Fire Collision (rel file) and fixed some models issues. Guys... I bring you the biggest map in Smash!!! The Great Cave Offensive is here. * Versions: For Dolphin, Optimized (3-4 no high poly characters) and highly Optimized (4 characters). Finally is here..... THE ULTIMATE Fountain of Dreams!! After weeks of work ... it's done! HURRA!! * NEW Rain of stars model animated and imported from melee. * Versions: Static, Wifi Safe and with water collision. Update: No more game crashes, color nodes fixed and with new recolor (shiny) versions. Decidueye imported from Pokémon Sun and Moon over Pit. It was very hard match this model with Pit's movements. Rigged with all textures and materials. Pit voice was deleted but I include the Decidueye cry instead. Hello guys!! 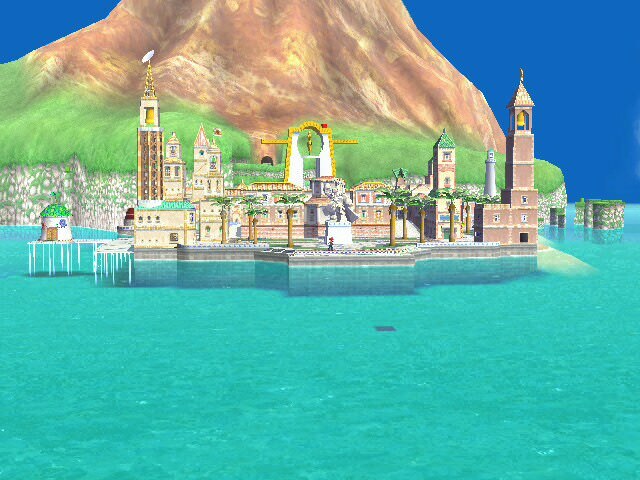 I'm here with more stages for Brawl! It's a revamp from a previous import made by Robz and Mewtwo2000 with Sandfall skins. I created a new glass material for the floor with specular efect and with more defined textures. I added some god rays that fall from the sky with new lights and fog. In additionally it has a new shadow model and collisions. Champion Red imported from Pokémon Sun and Moon over Snake. Red comes with all materials, rigged and it has also facial expresions. In aditional I changed some models and sounds that match more with the pokemon world: the Knife was changed for a sword (Honedge), the mine for a Voltorb, the Cypher for a Magnezone, the grenade for an Ultraball. Other objects like the box (Themed), the Trench (Sliph Sharpedo), the gun and bullets have new textures. New sounds like pokemon's cries, pokeball, phone tone and more. Of course snake voice was deleted. For a wifi safe game, don't use the ultraball grenade model (ItmSnakeGrenadeBrres) because there are some problems with the detonation time. Another stage import from Castlevania Judgment, Dimensional Rift. I like the PM Dracula's Castle very much so I decided to import the original stage with all background elements intact (clouds, moon, blackholes, balustrade...). The main platform has the original material with some modification, now is more dirty and old. For the platforms I created an new material that match with the rest of the stage. It has the original colisions, camera and parametres. Second Pokémon character skin imported, this time Lusamine. It was very hard match the bones with this model because of it has a lot of objects like hair and skirt that have their own bones physics. There was a lot of problems but finally it's done and goes over Zelda. As always, is the original model ripped from the Pokémon Sun and Moon game comes with all textures and materials, rigged and it has also facial expresions (Wifi Safe). New challenger aproaching: The Great Proffesor Kukui!! Hi guys! How are you? I'm here with a new opponent! This is my first character skin and I decided to import over Captain Falcon. It's the original Kukui's model ripped from the Pokémon Sun and Moon game. Has new bones, materials, original textures and it's wifi safe. Hi people! I'm here with other forms of Norfair from Smash U, the Project M and the Omega version. Next - Professor Kukui and Lusamine! Creepy import from Castlevania Judgment. I did some modifications over "Abbey Ruins". The floating main platform it's a custom object, I increased the resolution of textures (stones, moon, water,...) and comes with specular efects. The background song is remix using Bloody Tears from "Symphony of the Night" and "Judgment"
Marth Belmont is a custom skin I made, using the Jaystring model. It's a custom skin I made inspiring in some Castlevania characters. I used the Jaystring model from smash U. Page created in 0.322 seconds with 137 queries.